Non-members are welcome at SCHS events, but we request a $5 entry fee. CITG events are free for members, non-members are requested to pay the $5 entry fee. Click "Add Guest" to register your guest & generate an invoice. 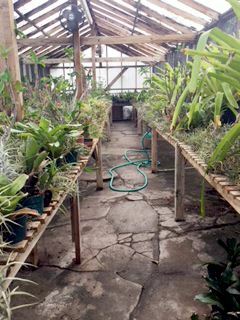 On Sunday, March 25, 2018 from 10:00 a.m. to 2:00 p.m., we are pleased to offer a "Coffee in the Garden" event hosted by Donna Marie Baker at her unique garden and Cactus and Succulent Nursery located in the San Fernando Valley in Tarzana. 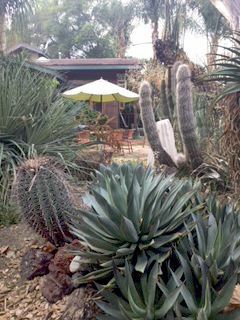 Donna Marie’s late husband Bill Baker was responsible for collecting, hybridizing and introducing a number of plants to the nursery trade, including Pachyphytum ‘Bill Baker’, Dyckia ‘Brittlestar’ and Aloe ‘Hercules.’ As a team, they also collaborated on many high profile landscape installations throughout Southern California. At 11:00 a.m., we will hear from two speakers arranged by Donna Marie. Royce Wood, artist, botanical illustrator and landscape designer, will speak about his good friend Bill Baker and some of his plant introductions. Tim Thomas, botanist and co-author of the book Southern California Mountains Wildflowers, will speak about plant expeditions he went on with Bill. Thereafter, Donna Marie and Royce will lead a walk through the garden, and afterward Donna Marie will be offering plants, books and botanical illustrations for sale. There will be plenty of time to browse, take photos and make selections for what you may wish to take home during this rare opportunity to view a truly one-of-a-kind garden and nursery. The SCHS will be providing coffee, cold drinks and light refreshments during the event. This event is free for SCHS members, with a $5.00 entry fee for non-members and guests.